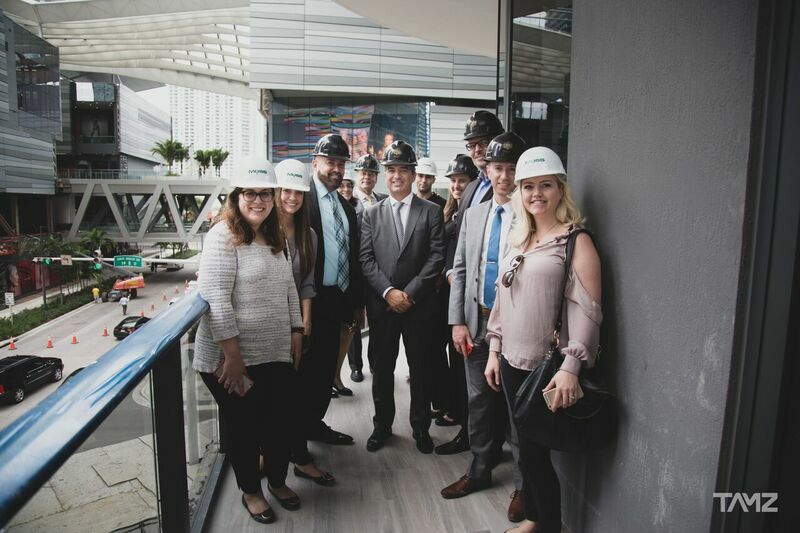 PROFILEmiami had the exclusive opportunity to tour Brickell's brand new SLS Lux, a collaboration between The Allen Morris Company, Related Group and SBE Group. SLS LUX will be a five-star experience with world-class amenities and personalized VIP service. The project is being developed in collaboration by SBE and The Related Group along with the Allen Morris Company. SLS LUX will be a 58-story tower designed by Arquitectonica with a unique LED façade by lighting artist Ana Isabel Martinez. It will feature 450 residences and 85 luxury suites designed by Yabu Pushelberg complete with world-class art. In attendance were Allen Morris and Carlos Rosso of Related Group. 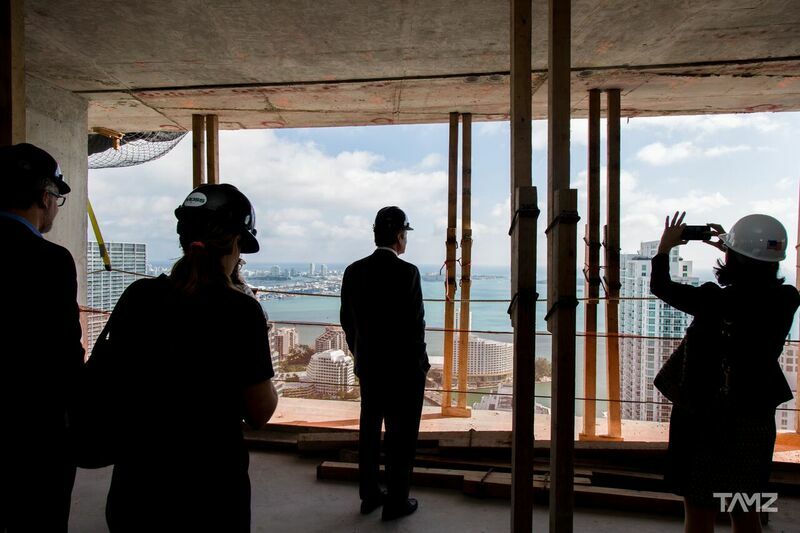 "SLS Lux is the finest condominium in Brickell. It has more amenities than any other building in the Brickell area, and it is right across from the front door of Brickell City Center, so we are very excited about it," says Allen Morris, Chairman and CEO of The Allen Morris Company. "We are completing the building this time next year. 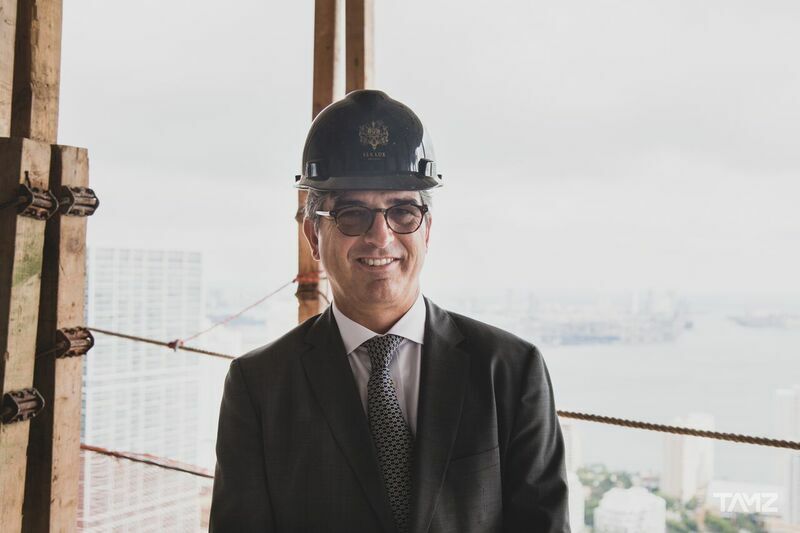 About 12 months from now we will finish all of the interiors and today we are celebrating the topping off of the 58th floor,"
Read our original coverage of SLS Lux from August.